The MERIT Bed Finder is approaching its final testing stage and will be launched shortly as part of a phased rollout across the four partner organisations. 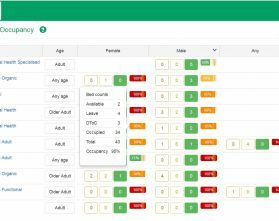 The Bed Finder system will offer bed managers in each of the partner Trusts the opportunity to view the status of beds at each other’s organisations. It will hold no data about anyone who may occupy or require a bed but, once it’s fully operational, the new system could cut the number of inpatients who have to be placed outside the West Midlands, allowing them to stay closer to the family, friends or other support networks which are often crucial to a speedy repatriation and successful discharge. The web-based Bed Finder will be available to bed managers in all four partner organisations. At present, patients from the four partner Trusts occupy out-of-area beds for as many as 9,000 days per year. Our ambition is to help Trusts reduce this figure by as much as half over the next two to three years, reducing the financial cost of expensive out-of-area placements and allowing these sums to be reinvested in patient care. “Bed managers will work closely together, with regular touch points, so that they can identify issues of shared concern, allowing us to improve the continuity of care for those who have to be admitted outside their usual Trust. Colleagues from the MERIT partnership continue to discuss the projects face-to-face with a range of clinical staff, at staff meetings in each organisation. Staff training materials are also being developed, and will be available as each Trust approaches its implementation date.